Volunteering is a great way to gain valuable experience for your resumé while also giving back to the community. Today, ECU is part of the launch of a national campaign to prevent sexual assault and harassment. For those of you commencing at ECU for the first time, or returning to your studies, 2016 is a special year. I know exams can be a challenging time of year for many of you. But with the right preparation, it’s possible to approach this upcoming examination period with confidence. Have you thought about studying overseas? It’s a great chance to see the world, make new friends and gain valuable experience for your résumé – all while gaining credit for your degree. It’s nice to be praised by international university rankings, but it’s even better to receive it from our students and graduates. In welcoming new and returning students to ECU for the start of semester two, I want to share with you some impressions from my first few months as Vice-Chancellor. 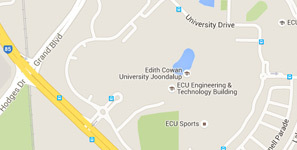 My first month at Edith Cowan University has seen some exciting achievements for the University. It is my great pleasure to inform you that Edith Cowan University has today been named in the Times Higher Education100 Under 50 global rankings. After some seven months as the Acting Vice-Chancellor, it will give me great pleasure to welcome our next Vice-Chancellor, Professor Stephen Chapman, to Edith Cowan University when he begins his term next week. We all enjoy the benefits of a diverse university community throughout the year. But there is one day in the academic calendar ECU recognises this diversity with free entertainment, music and food at our Harmony Week celebrations. A very special welcome to the more than 8,000 new students joining us in 2015 and welcome back to those returning to their studies. With the festive season nearly upon us, I would like to take this opportunity to thank all of you for your hard work and commitment over the past year and to wish you a Merry Christmas and a Happy New Year. For many students, just two weeks stands between you and a well-deserved break. ECU announced back in May that Commonwealth Supported students who commenced or continued with their studies in semester 2 2014 will continue under the current HECS tuition fee structure until 2020. This means despite the uncertainty surrounding the deregulation of higher education, you can be certain your tuition fees won’t be affected.